Madrid (AFP) – Hundreds of small earthquakes which have rattled Spain’s eastern coast were blamed Wednesday by green groups and geologists on a large offshore gas storage plant that started operating in June. More than 300 earthquakes have struck the Gulf of Valencia, a zone not normally known for seismic activity, over the past month, according to Spain’s National Geographic Institute. The strongest, a 4.2 magnitude earthquake, hit in the early hours of Tuesday. It did not cause any damage but frightened residents. Inmaculada Ramirez, a shop owner in the coastal town of Vinaros which faces the offshore gas storage plant, said she was woken up by the earthquake. “The windows shook as if a train was flying overhead or a very long train was passing by,” the 55-year-old told AFP by telephone. Ten earthquakes with a magnitude between 1.4 and 2.9 were registered on Wednesday. The wave of earthquakes prompted the government to halt an injection of gas into a giant offshore storage plant on September 16 in the Gulf of Valencia, while scientists study whether they triggered the tremors. 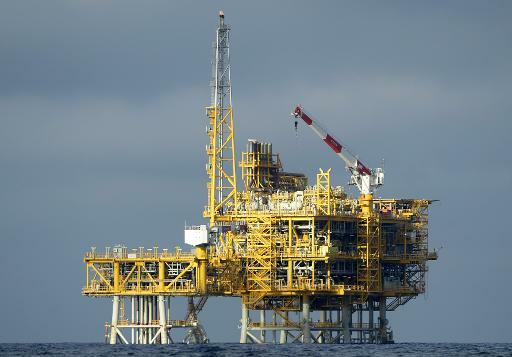 The Castor storage plant aims to store gas in a depleted oil reservoir 1.7 kilometres (1.05 miles) under the Mediterranean Sea and send it via a pipeline to Spain’s national grid. The plant, owned and operated by Spanish firm Escal UGS, can hold up to 1.3 billion cubic metres of gas, enough to meet the needs for the region of Valencia for three months. About 100 million cubic metres were injected into the plant, which opened in June, before the government suspended its activity. The government argues there is no confirmed link between the earthquakes and the work on the plant, but environmentalists strongly disagree. “There is no doubt over the link between the injection of gas in the reservoir of the Castor project and the earthquakes,” Spanish environmental group Ecologists in Action said in a statement. The plant is located near a fault line but the region has very little seismic activity, according to the president of Spain’s College of Geologists, Luis Suarez. “There are rational indications to think that the earthquakes are linked to the injection of gas in the Castor project,” he said. “The fact is that in the area of the fault line there exists accumulated energy that, pushed by the gas injections, ends up being released,” he added. “It is very unlikely that there will be earthquakes of a stronger magnitude,” Suarez said. Three other underground gas storage plants exists in Spain — in Huesca at the foot of the Pyrenees Mountains, in Guadalajara in the centre and in Bermeo in the northern Basque Country. No seismic activity has been recorded near those plants.